Leon Trotsky died on this day in 1940 after being attacked the day before by assassin Ramon Mercador, hired by Joseph Stalin to murder his longtime rival. Louis Fischer, a longtime observer of the Soviet Union and writer for The Nation, wrote a piece in the magazine’s next issue about the rivalry between Trotsky and Stalin. The feud between Stalin and Trotsky was a battle of giants that rocked the Soviet Union for many years and profoundly affected world events. It was a relentless combat in which neither man released his grip. Only death could separate them. 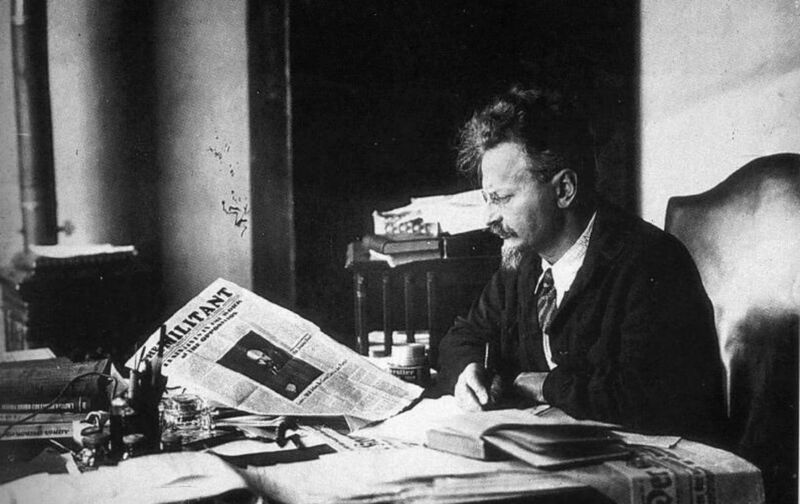 And to the day of his death Trotsky continued to attack the dictator who prevented him from succeeding Lenin. There were venom, force, and the rage of uninhibited genius in Trotsky’s verbal thrusts against the master of the Kremlin. But Stalin? He has won. He governs the Soviet Union. Yet he too never suspended hostilities. Unremittingly he pursued Trotsky all over the world. The Moscow trials were first of all trials of Trotsky for contumacy. The purges were directed against Communists who might be or become Trotskyists. The blood feud between the two revolutionaries went on to the end, although one was the mighty ruler of 180,000,000 people and the other a struggling writer in a small country off the world’s highway.